NQ reporter Emma Greensill aims to get harsher punishments for people who abuse or neglaect animals, and for these laws to be taken seriously by prosecutors and not merely ignored. 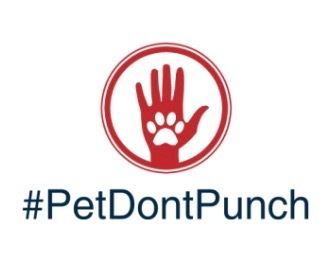 #PetDontPunch is a campaign to get harsher punishments for animal abusers and neglectors, and for the laws surrounding this to be taken more seriously. In the UK about 1 in 2 households own a pet, making the pet population around 20 million. The question is, how many of them pets are or have been mistreated? The punishment right now for animal cruelty has just risen to up to 5 years in prison, but part of this campaign is for the law to take this more seriously. When you go on social media how many times have you seen a video of a cat or dog etc being thrown down the stairs or kicked in the stomach by their owners? How many of those owners do you think have been punished? My answer is not enough. Yes, the law has just changed to give harsher punishments on the act of animal cruelty, but it doesnt mean that it will actually crack down on offenders. The harsher sentence has been described as more of a deterrent which I feel shows how they don’t expect to be punishing a lot out of the many abusers. With the likes of RSPCA working and dealing with animal cruelty cases we have seen improvements with the Animal Welfare Act 2006, and with them having regulatory powers dealing with abuse and neglect, they can take offenders to court. But what can the court do?